“Success is a journey, not a destination”. This saying is undeniably true of Sunway’s successful journey as an education provider which has come full-circle recently with the momentous culmination of the Sunway College, which began in the 1980s, as the Sunway University of the 21st century. Our story, which began with the Kolej Sunway Kuching in the 2007, with its flag-ship offerings of internationally recognised professional accounting programmes as well as Diploma programmes with many reputable universities internationally. Welcome to Kolej Sunway Kuching (Sunway College Kuching). The tradition of academic excellence continues at Kolej Sunway Kuching in its range of internationally recognised programmes of study, catering to the different learning styles and ambitions of different students. The award-winning Kolej Sunway Kuching offers programmes of study leading to the globally recognised ACCA (Association of Chartered Certified Accountant) and CAT (Certified Accounting Technician) and International Association of Bookkeepers (IAB) credentials. I am pleased to inform you that Kolej Sunway Kuching is the first and the only institution of higher learning in East Malaysia to be awarded the Approved Learning Partner –Student Tuition, the PLATINUM status. 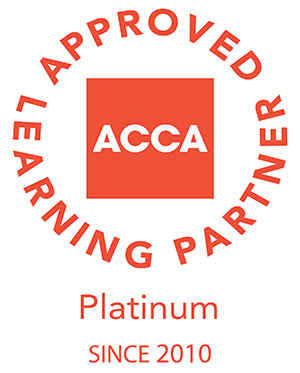 This status is awarded by the Association of Chartered Certified Accountants (ACCA) under a new scheme that give formal recognition to leading tuition providers who offer quality tuition and support to ACCA and CAT students. To achieve the Platinum Status, Kolej Sunway Kuching was assessed by ACCA on five (5) performance indicators-tuition (pass rate to match that of the World), course materials, facilities, student support and course management. Kick start your career pathways with our Sunway Diploma programmes towards a degree, a professional qualification or early employment. Students will be exposed to work-integrated learning which offers students industry-linked projects, industry filed trips, simulations of solving challenges, voluntary projects, competitions, seminars, workshops and TED Talks. At the Diploma level, Kolej Sunway Kuching offers Diploma in Accounting and Diploma in Business Management. The range of Diploma programmes has been carefully designed to suit the different learning preferences of students, and to prepare them to enter their universities of choice. 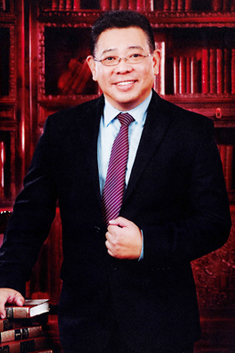 We have established a number of collaborative arrangements with reputable local and overseas universities that will provide articulation pathways for our Diploma in accounting and management holders to pursue degrees in International Business, Accounting and Finance, or Business Management at these universities. Arrangements with University of Nottingham Malaysia Campus, University of Heriot Watt, Malaysia Campus, Curtin University Sarawak and Australia, Birmingham City University, Cardiff University, Wales, University of Western Australia, Perth, University of Canterbury, New Zealand, University of Waikato, New Zealand, James Cook University, Singapore, KDU University College, Australia Catholic University, Sydney, Victoria University, Melbourne, Australia, Kaplan Higher Education Academy, Singapore, University College Technology Sarawak, UCSI University, and Sunway University are already in place. Kolej Sunway Kuching also offers a range of well-established English language proficiency programmes that have been specifically designed to equip students with English language and communication skills necessary for academic success as well as employment and career development. We are truly proud of our students, the contribution they make during college life and their subsequent achievements after graduation. Kolej Sunway Kuching is part of the Sunway Education Group and are fully owned and governed by the Jeffrey Cheah Foundation. The Foundation which was launched in March 2010 operates upon the philosophy of the Founder, Tan Sri Jeffrey Cheah, who is passionate about giving back to the community via education, and this has been done for many years via the Sunway Education Trust Fund that was set up in the 1990s. Sunway College channels its surpluses back to the Foundation which in turn provides scholarships and financial support to deserving students. Over 100 million in scholarships has been disbursed to-date by the Foundation. The Jeffrey Cheah Foundation champions the spirit of giving back to society and the belief that education transforms lives. And, every student and staff at Sunway College is able to contribute in the same way by virtue of the simple fact that we are a part of the Sunway community. We would be delighted to be able to share with you a magnificent year of high passing rates, successful job placement of our students in both international and local audit and accounting firms and other exciting events. Our graduates are increasingly sought-after by top organisations both in Malaysia and internationally. All our academic programmes are designed to give the highest quality of education but focused on particular job requirements. We look forward to welcoming you to the College, as visitor during one of our many open days, or as a brand new student in 2019. I am confident you will have enjoyable and rewarding times ahead of you at Sunway College and wish you the very best in your endeavours. We hope you will choose to become part of our students’ continuing success story. To be the Premier Business, Accounting and Finance Course Provider in East Malaysia. To provide various diplomas which serve as a firm academic foundation for further studies in related degree programmes with credit exemptions from various leading and top ranking universities. To equip graduates with employability skills highly sought after by employers.